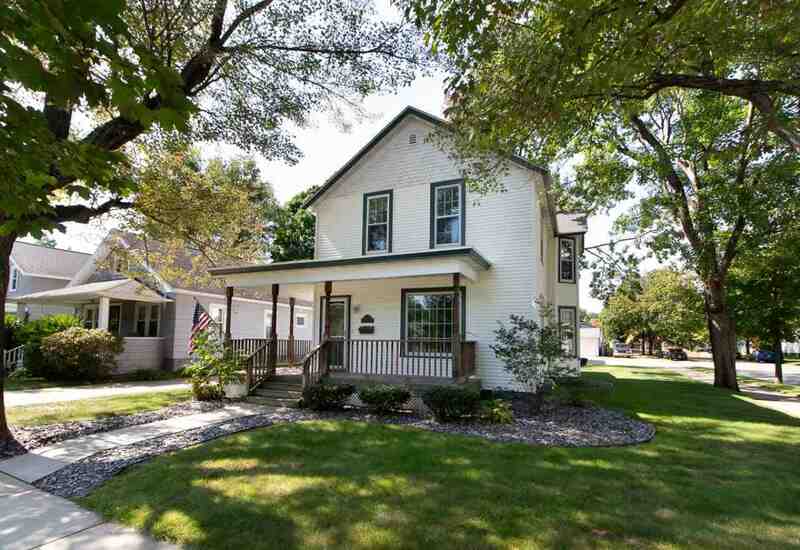 Lovely, move in ready, character home in the very popular southeast side neighborhood. 3 car garage. Beautiful lot. Freshly painted interior. Low maintenance exterior. Beautiful front porch, main floor bed/ office area, formal dining room. 2 full baths (one main and one upper). Angela Wenman Biese recommends Central WI Real Estate. Jim is a wonderful realtor for your commercial or residential real estate sale or purchase - he was both a buying agent and a selling agent for us on several occasions and we could not have made a better choice. His knowledge of the local market and experience are second to none! Jim is a very straight-forward, knowledgeable, and successful realtor who I would not hesitate a second to call on again if needed. Thanks to Jim, we priced our house $15,000 higher than another realtor suggested we list it at, and we got our asking price. Jim helped us through the entire process and helped to make it a lot less stressful experience. I also know Jim to be a very dedicated and involved family man and solid individual. © 2019 CENTRAL WISCONSIN MULTIPLE LISTING SERVICE INC. All rights reserved. Information deemed to be reliable but not guaranteed. The data relating to real estate for sale on this website comes in part from the Broker Reciprocity Program. Real estate listings held by brokerage firms other than Central WI Real Estate are marked with the BR logo and detailed information about them includes the name of the listing brokers. Listing broker has attempted to offer accurate data, but buyers are advised to confirm all items. Information last updated on 2019-04-22.